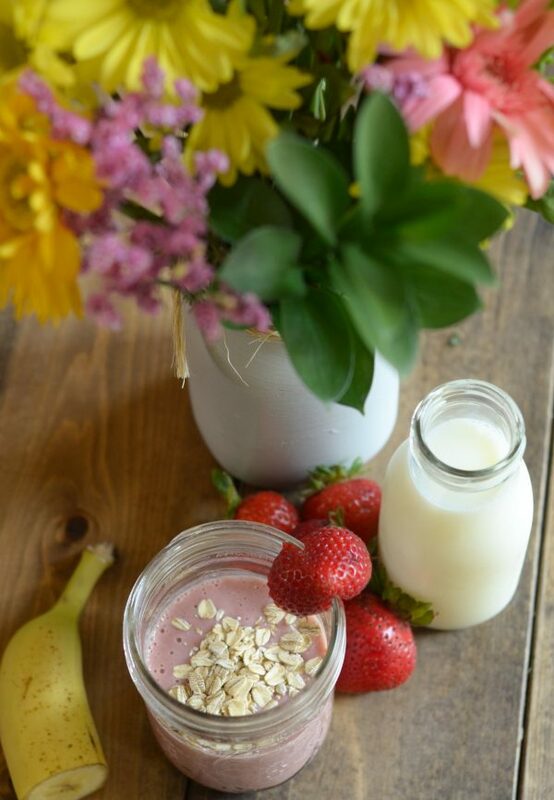 Make a delicious Strawberry Banana Oat Smoothie as you head out the door for school this year! This is it! The last week that I will have the kids home with me for the summer, we start school later this week. It’s quite a transition too because this year my daughter starts school as well. That means that for the first time in 8 years, I’m going to have both kids at school each day, all day. It’s so bittersweet, yes I’m so happy to start working during the day instead of at night, but I’m also sad too as it seems like time speeds up when they start school. I feel like my son just started school yesterday and now he’s in 3rd grade, it just goes faster! In the midst of that our mornings are about to get extremely hectic. 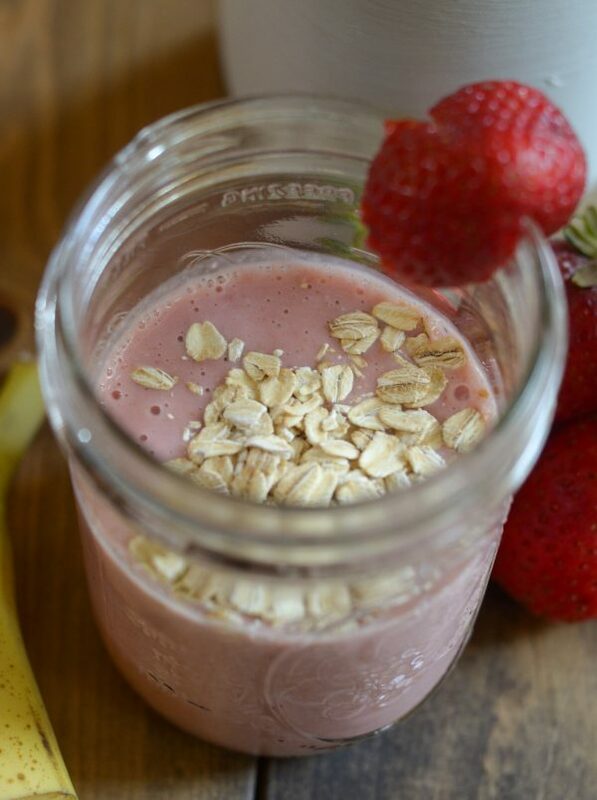 We have to be out the door early and that means I’ll be grabbing a Strawberry Banana Oat Smoothie on the way out! There are many mornings where I’ll admit, breakfast is being served in the car. We live quite a ways from the school so it’s a drive in and that means that some mornings we are in fact running late and breakfast is to go. 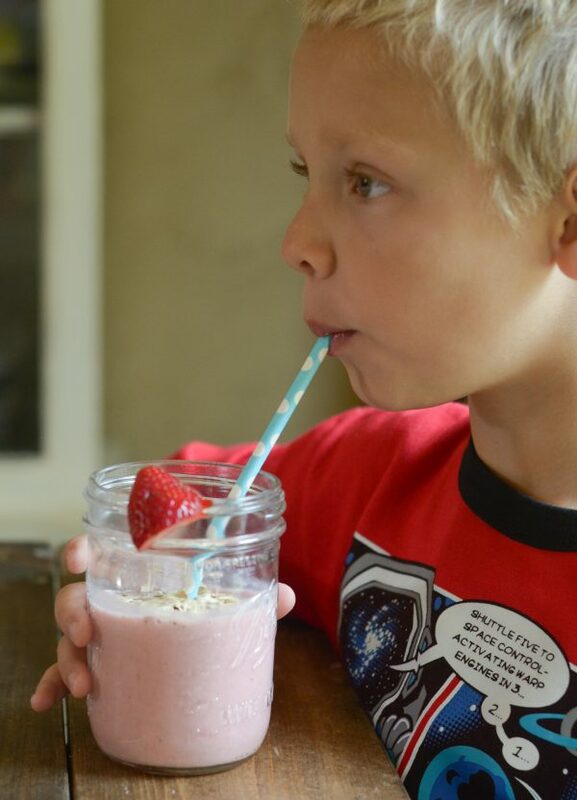 One of my favorites to make and take are smoothies because they have no mess or very little. 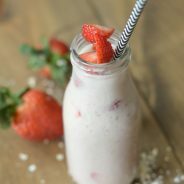 Why is yogurt or dairy good for a smoothie? 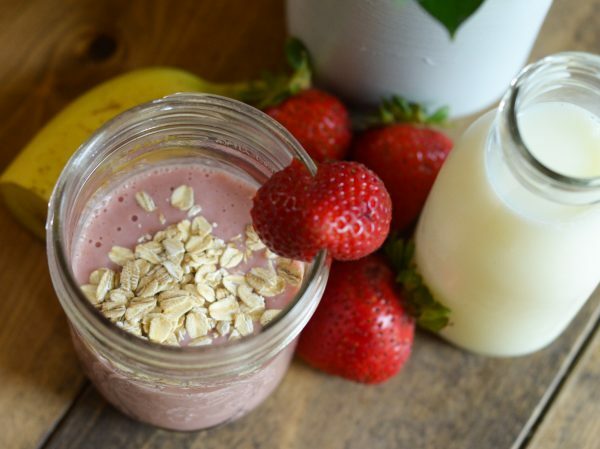 Recently, I’ve started to be sure to add in dairy to the smoothie such as cow’s milk or yogurt. 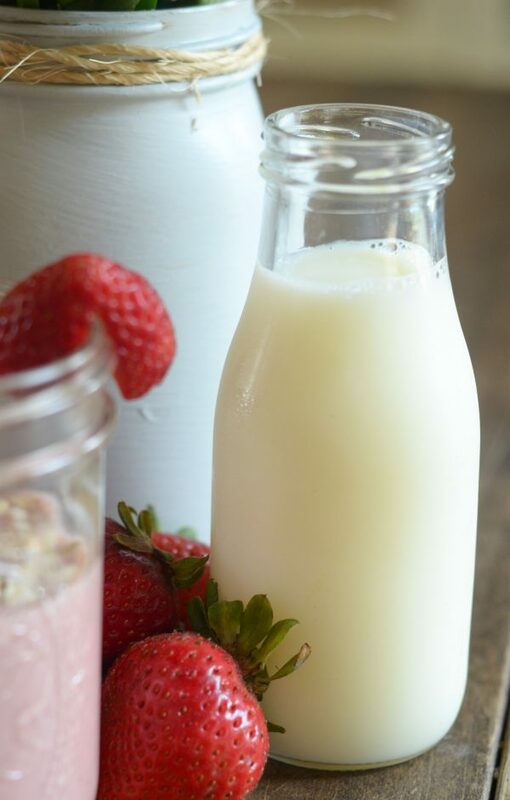 If you add dairy in it adds a nutritional punch with 9 essential nutrients. 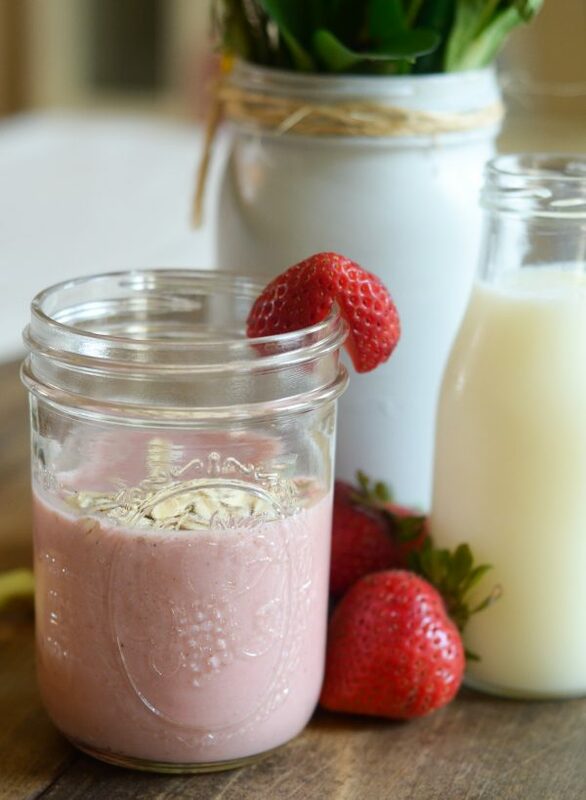 Did you know there is 8 grams of protein per glass? That means that you would actually have to drink 8 cups of almond milk to match the protein in 1 cup of cow’s milk. I actually didn’t know that, did you? 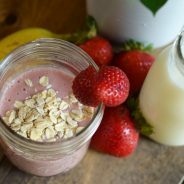 Now, the great thing about a smoothie is not only do you get the benefit of the dairy nutrients, but you can pack it with fruits, vegetables, and whole grains. 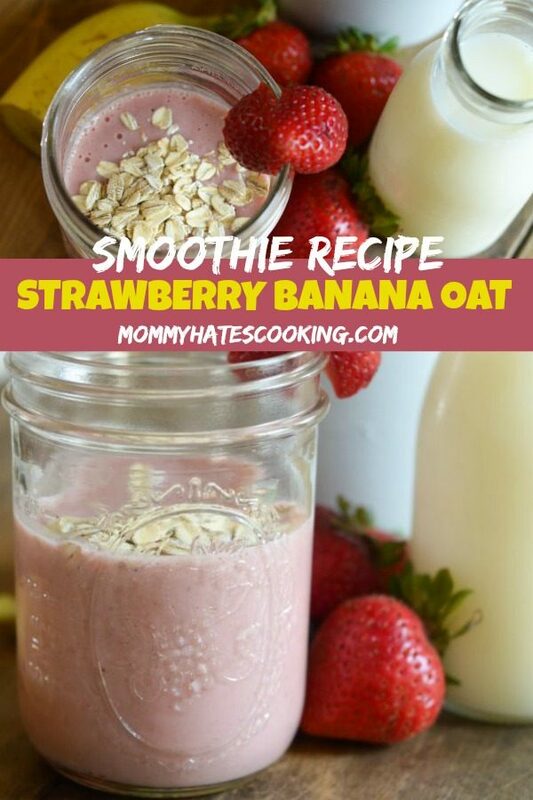 I like to add oats to ours, plus fruit and also a little bit of honey to sweeten it without added sugar. Sometimes I add spinach too since that packs it with more nutrients but you can’t actually taste the spinach. I’ll admit though my kids aren’t very thrilled when they see spinach in their smoothie, but I know one day they’ll understand just how much that green ingredient helps. 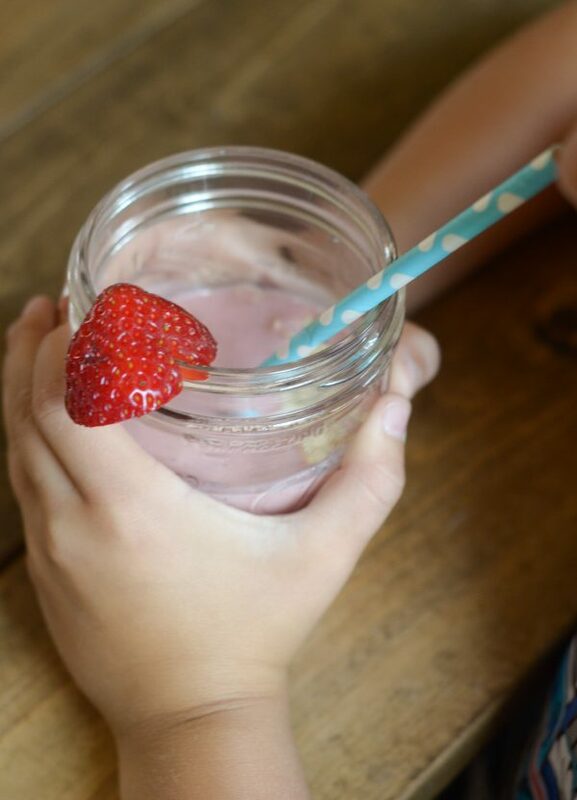 As we head back to school though, smoothies are a go-to for us. 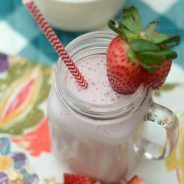 Is there a particular smoothie you enjoy? I’d love to hear some other ideas for different flavors. I often use the fruit that I have on hand. 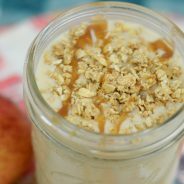 Be sure to pin this recipe for later too! Enjoy! Combine all ingredients in the blender and mix well.